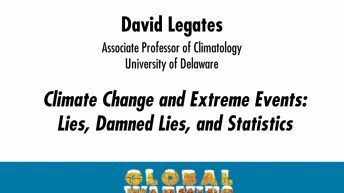 David Legates, Ph.D. is professor of climatology in the Department of Geography at the University of Delaware and an adjunct professor at the university’s Physical Ocean Science and Engineering Program and in the Department of Applied Economics. 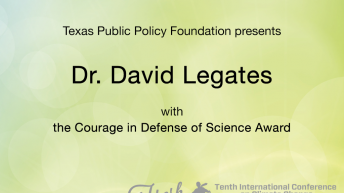 At the 10th International Conference on Climate Change in 2015, he was presented with the Courage in Defense of Science Award. 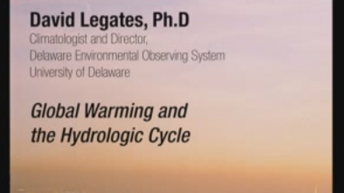 Legates has argued for the necessity of technological progress in precipitation measurement used for validating climate change scenarios and for validation of existing data used for that purpose. 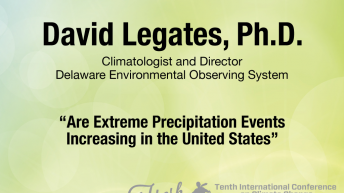 He co-developed methods to correct bias in gauge-measured precipitation data for wind and temperature effects, with direct applicability in climate change, hydrology, and environmental impact studies. 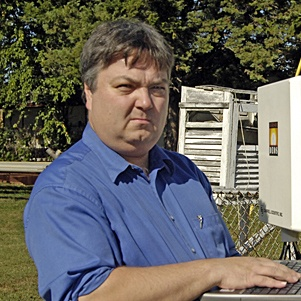 Legates also developed a calibration method that validates NEXRAD radar precipitation data with gauge measurements to improve the accuracy of precipitation estimates.